The security of your home is very important and thus it cannot be compromised in any way. By putting quality security measures in place, you will not only be ensuring that your property is safe but also that you family is secure and enjoying the peace of mind whether they are home or away. It is however important to understand that with all the measure you plan to put in place, the exterior doors to your home will play a major role in enhancing or compromising your security. Your doors ought to be selected carefully eliminating any possibilities of them becoming a weak link as you set up your entire security system. When buying your home’s exterior doors for increased the security, consider these tips as they will help in making your doors more secure and stronger. The first step towards exterior door selection is in ensuring that the material of choice is strong and durable. Unlike interior doors, exterior doors should be hardy and not hollow. It is important to balance between looks and strength even when seeking to increase the appeal of your house. In fact, unlike what many people think, secure doors have a greater appeal to buyers as opposed to nice looking and unreliable door as far as security is concerned. A strong secure door will not only help keep burglars away but can also withstand different kinds of weather patterns. You can opt for solid wood, fiberglass or reinforced metal among others. 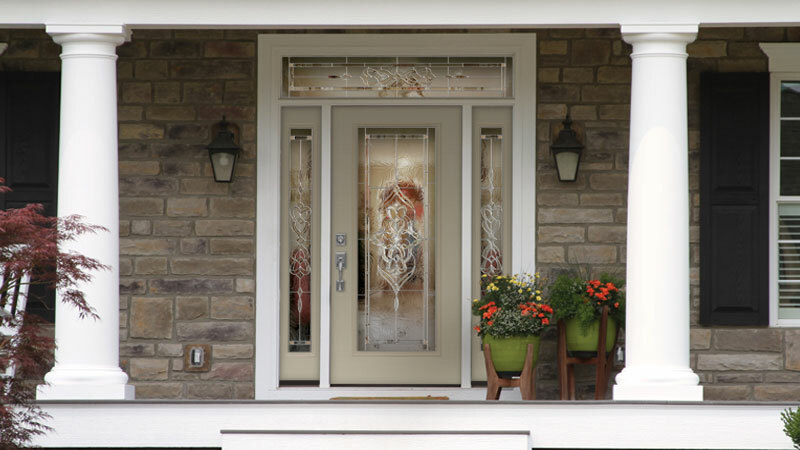 A good exterior door must have strong and reliable door frames. With intruders becoming more sophisticated nowadays, it is important to ensure that all your systems are in place and this means buying frames that are sturdy and not likely to leave any gaps that can easily be exploited using pry bars. Make sure that the frame doesn’t move at all and that any gaps in the door frames are less than 1/16 inch. The door frames of choice should be made of durable hardwood or metal to protect them from pests such as termites and other destructive elements such as moisture and mold. Apart from the door quality and the frames, it is important to note that it takes more than these two to ensure that your home is secure. It is important to consider other things such as the locks and the proximity of other things such as the glass windows or glass sections on the door. You do not want to install your door very close to the windows in a way that could help an intruder to break in and reach the hinges. If your door has a glass section, ensure that the hinges are not easily reachable in case the glass past if broken. On the other hand, you should install a sturdy lock on your door to help keep burglars away. A deadbolt or a high security key lock will be a good investment to consider with the help of your trusted, professional locksmith. Locks vary greatly in quality and therefore you should be able to consider this during your purchase. With these elements in place, it is always important to practice the best security measures always. There are other things you could incorporate into your home security and especially on the front door (inbraakwerende deuren) including a spy or peep hole, CCTV cameras and an alarm system. This way, you will be guaranteed of quality security measures always.